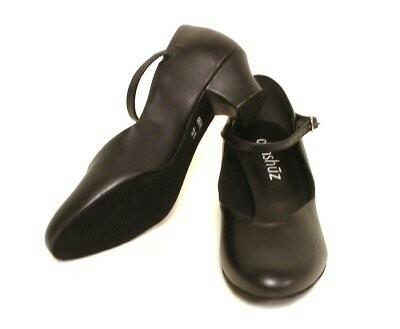 BEST BALLROOM PRACTICE SHOES...soft, comfortable, flexible suede sole for good control of your ballroom steps. Cushioned inner sole...1 1/2 inch heel. Size 1/2 size up from street shoe for comfortable fit.